Imagine waking up at 4 a.m. in the dead of winter to drive 45 minutes to work out in the cold. 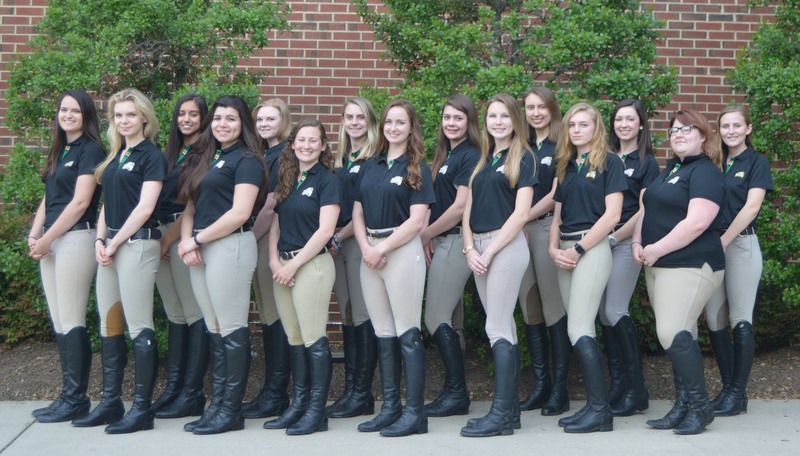 For the 25 members of the Mason Equestrian Club, setting up a home show requires just that. “It’s tough, but I think it’s a really good bonding experience,” freshman cyber security engineering major Melody Jackson said. 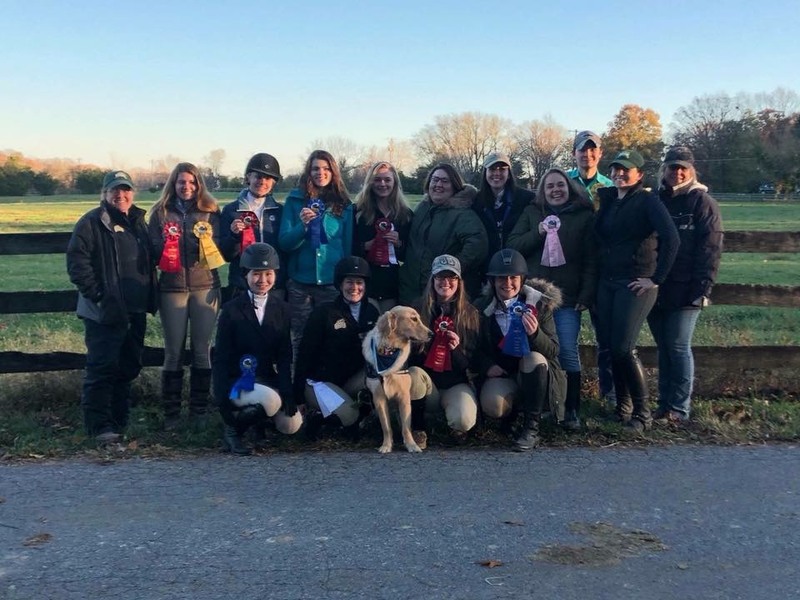 When the Mason Equestrian Club hosts a show, they must get to the barn bright and early to feed, groom and warm up all the horses for the show. During the semester, the members practice on the club trainers’ horses. Though some of the club members have horses at home, some lease horses, and some just take lessons for the love of the sport. “They all have their own quirks,” freshman Brittany Groad said of the horses. She has been riding for around seven or eight years and says the horses they use are not all perfect, but none of them are rough to ride. At home, Jackson, who has been riding for around 12 years, leases horses that are not trained as well as the horses at Mason. She said that it is nice not to have to worry about how the horses at Mason will react, but that at the same time she has more passion and pride when she is the one training the horse. The club is always kept at or below 30 members so that the coach can still individualize each training session with the club’s members. 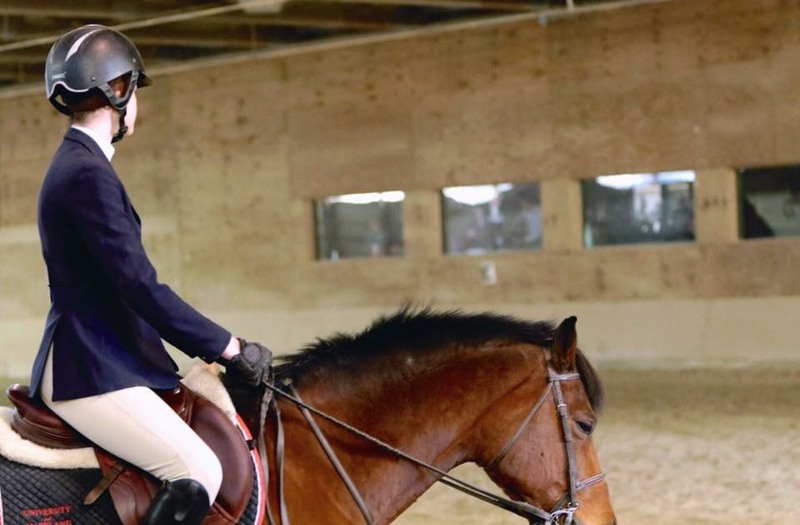 For freshman Anna Bertino, the Mason club is a great team environment and a cheaper alternative to taking lessons at home, where the closest barn is over 40 minutes away. The team has a lesson once a week and will have three or four shows a semester. Landoll is the president of the club. She is in charge of the executive board, made up of a vice president, secretary, treasurer, fundraising chair and social chair. Landoll is also the person who coordinates with the regional president and organizes the competitions. The team usually has one home show out of the shows they attend each semester. “Away shows are always fun, because you’re just like, sitting there trying not to die of cold and hunger and sleep deprivation, and the giggles just come out,” Bertino said. Knocking any of the fences down during the jumps results in the rider being disqualified. It can sometimes be difficult to know what different judges are looking for during the shows. Jackson said one element to keep in mind is how the rider looks, like they are trying really hard or whether it looks more effortless. 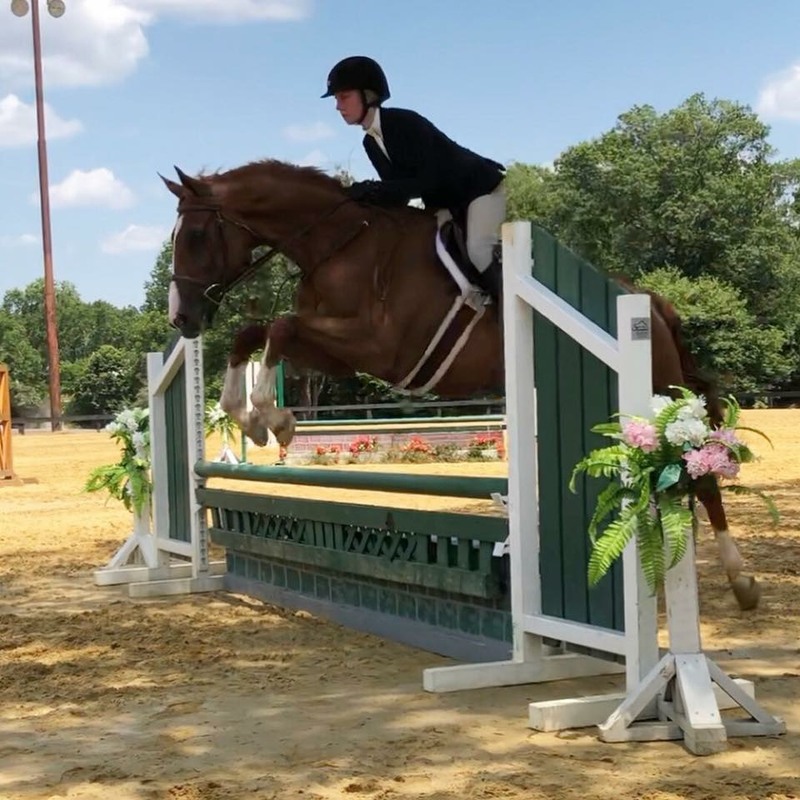 This style of riding in competition is called “equitation,” meaning the judge is not supposed to look at how fancy the horse is but rather only the rider’s performance. 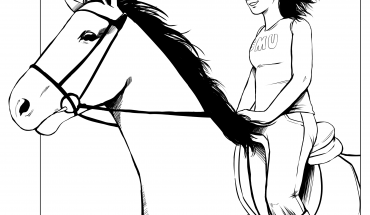 Regardless of how competitions go, all the women ride horses for both the love of the sport and the fun of riding. “Oh yeah, definitely, I want to keep horses in my life as long as I can,” Delorey said.